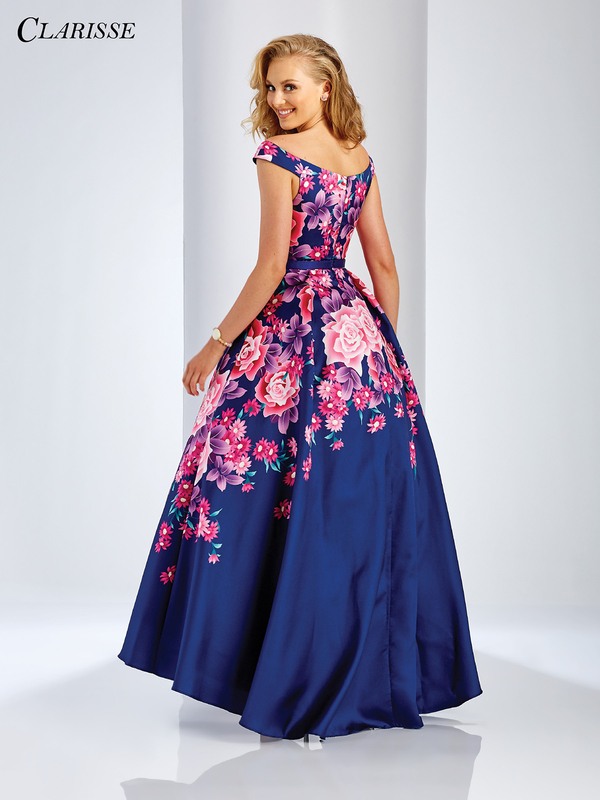 Pink roses and daisies decorate this pretty navy prom dress. Clarisse 3569 has a romantic off the shoulder sweetheart neckline and a solid belt around the waist to flatter your curves! The pleated mikado skirt stops at the ankles for a feminine high low length that will let you flaunt your shoes! This youthful style is perfect for prom, sweet sixteens and formal events, and is available in sizes 0 through 20 (Sizes 18 and up are an additional $25).